The composition of a photograph is perhaps the most significant factor which can establish the beauty and power of a fine art image. Thus, both the novice and the expert photographers are striving to make their photographs creative and artsy. The picture featured in this post was taken during a hike around Longfellow Mine near Ouray, Colorado. This is a macro shot which enlarges and draws the attention of viewers to minute elements. This image was composed with utmost ingenuity in order to be able to capture the detailed texture of the frost on the leaf. The image above is a perfect macro shot as it has a lead room which allows the leaf to unfold in its natural beauty. That extra space in the frame allows a more balanced look as the eyes will be drawn towards the direction where the leaf seem to point at. Though the photo may seem to have a lot of things happening at the same time, the background is just perfect as it does not cause any distraction from the subject of the interest. 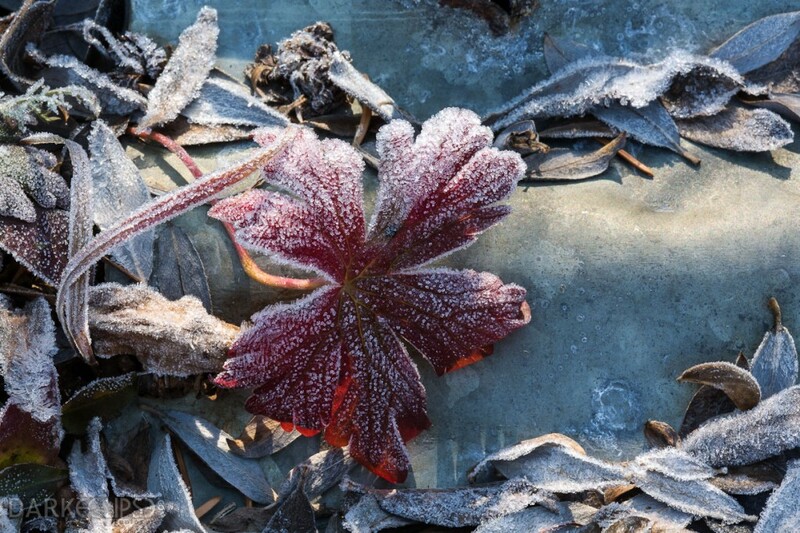 The frosted leaf seems to pop out against the ground covered with frost. The clean and subtle background complements the dominant color of the leaf which makes the image to have a much needed contrast. There is no eerie sense of emptiness in this fine art shot because of the element of balance. There is ample mixing of light and shadow which renders the image its realistic appeal. This will be a perfect fine art piece for an office or home. A condo will look so posh with a fine art print of this image in the living room area.